We are now an official Griffin Thermal Products dealer. Whether it is a stock or custom radiator! 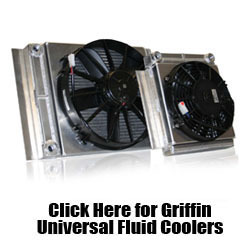 Transmission cooler or a universal fluid cooler we can quote you a great price on a great product! Last edited by CCOR; 05/27/16 at 07:40 AM..
Last edited by CCOR; 05/27/16 at 07:39 AM..
Order your Griffin Radiator with us and keep your engine cold. Give us a call to order 706-559-9609. Or PM us a quote and we will get you a price. Keep cool with the Griffin Radiator. Give us a call to order one today 706-559-9609. Keep Cool with the awesome Griffin Radiator. Keep your engine cool with Griffin Radiators and CCOR! If you missed us, don’t forget you can always visit our website, www.classiccityoffroad.com. Gift cards are available on our site as well! Great deals and prices on Griffin Radiators at CCOR! Deals you cant beat at CCOR! Give us a call to order today.